A compelling, fascinating, and a compassionate look into the “Soul of the Elephant”, done in a very poignant way as if they were telling the story through a poem. Dereck and Beverly Joubert are my favorite wildlife filmmakers. They tell important stories of iconic African wildlife in a fresh way, with breathtaking cinematography, using innovative camera angles. Their expert bush and species knowledge comes through a narration that is just mesmerizing, so lyrical and melodic–the way they switch and weave the stories and scenes between each other’s voice. 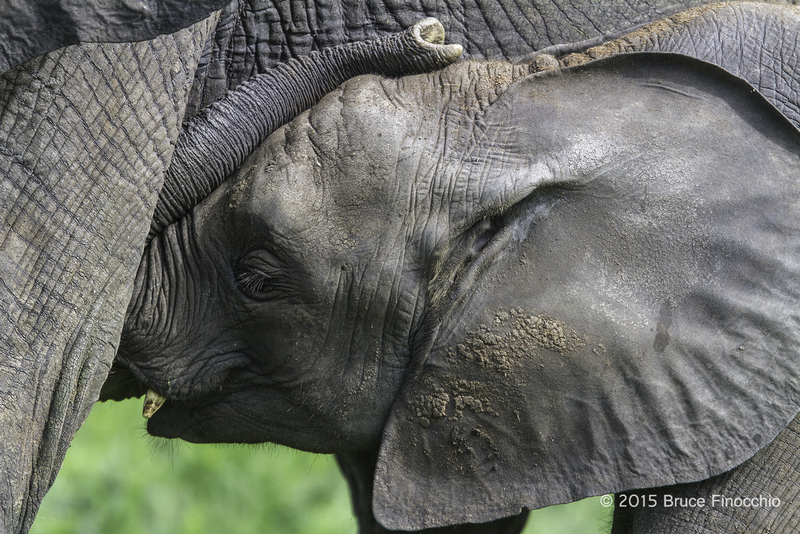 If you love elephants, wild places, wild animals, this Nature PBS episode is not to be missed. This is natural storytelling at its best, by those closest to the wildlife, living life with them. Their passion for what they do and the compassion and love for the wildlife comes through in their presentation. I only wished for more…like their 88-minute film the Last Lions that I saw in the theater. The original broadcast was on PBS on October 14, 2015, somehow I missed it. However, I found the full episode online at the PBS Nature site. Take time from your busy life and please watch this Nature episode; it will change you forever, it’s haunting. I have already seen it twice, and I am sure I’ll watch again. I highly recommend this search for the “Soul of the Elephant”, in fact, I would love to be doing what they are–immersed in the wild: living and breathing the wild smells of Africa. Please posted your comments and let me know your thoughts. 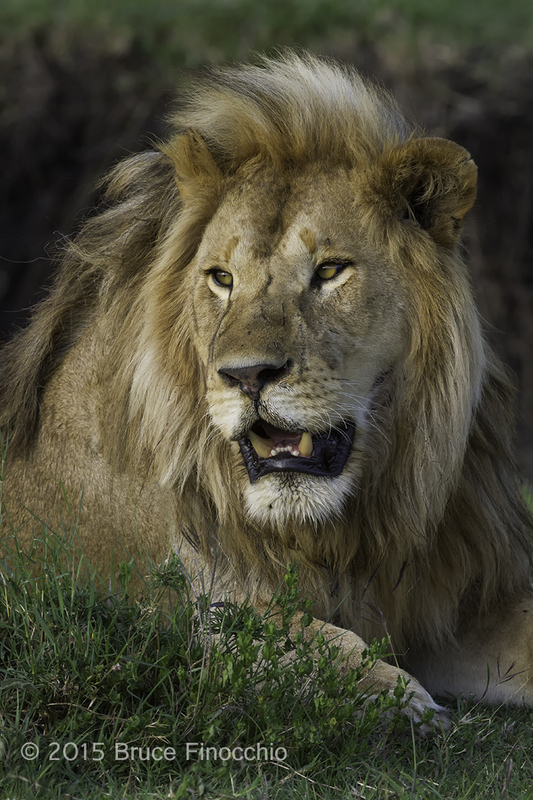 Author Dream Catcher ImagesPosted on August 12, 2015 May 20, 2016 Categories Conservation, Mammal Photography, Nature's WondersTags African Lions, Alert Lion, Hyena, Lions, Lions War With Hyenas, Male Lions, Mammal Photography, Mortal Enemies, Reddish Maned Lion, Serengeti National Park, Tanzania, Two Male Lions5 Comments on Nothing Stirs A Male Lion Like? 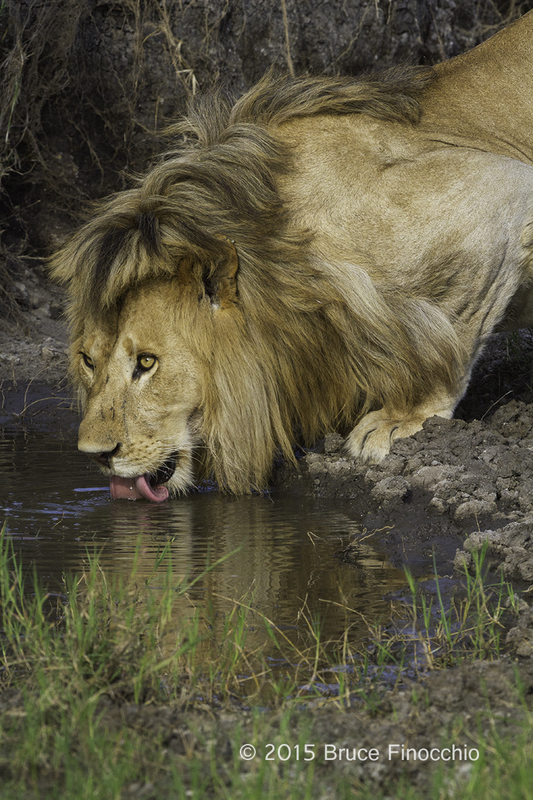 Compared to my 2005 trip to South Africa, we saw many more Male Lions. Here is a Male Lion in the very early morning light, gazing across the plains, checking out what’s going around him. As Lions often do. We had many different color manes among the many different Male Lions we saw, darker in the Serengeti, a really beautiful blond Male Lion in a different area of Ndutu. This one belong to the Marsh pride, and his mane is in between, not light, not red like some, and not too dark or black. I just love the side profile with that intent look, and the light was just fantastic, just after sunrise. By the way, it was our last shooting morning, and last morning in Ndutu. What a way to send me on my journey home. 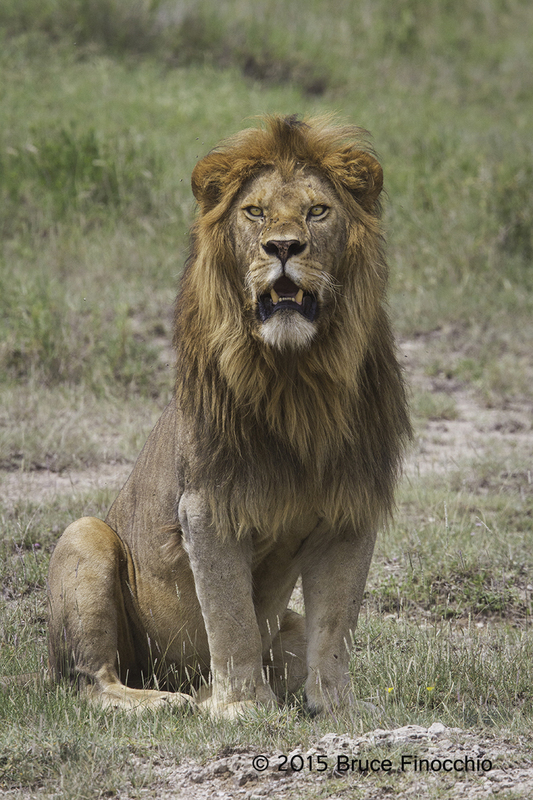 One of the many highlights of my trip to East Africa was lions. I saw many lions in many places: like Ngornogoro Crater, the Serengeti, and here in Ndutu. 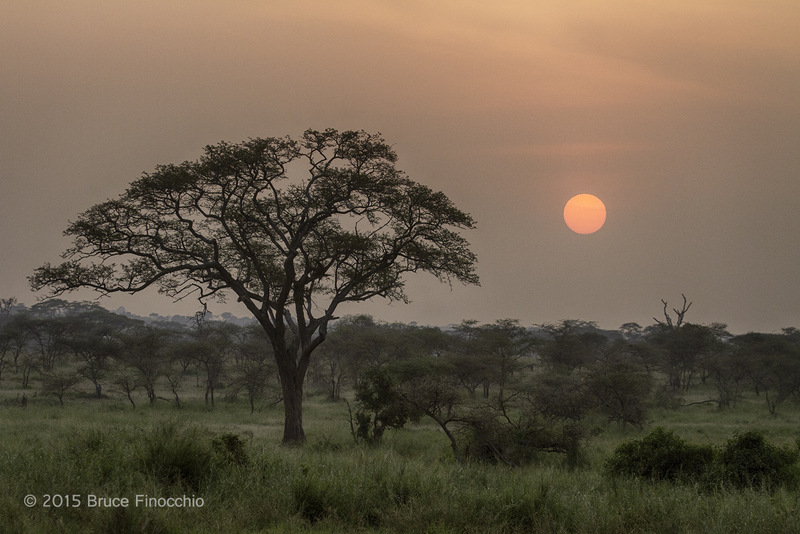 This image was taken along with the image I posted a few days ago—my last morning photographing in East Africa. This is the female lioness that my male lion (previous image) was mating with. Here they are both greatly aware and very intently checking out what another male lion about 40 yards away is doing or is up too. Sometimes getting two subjects sharp with a telephoto lens can be difficult. 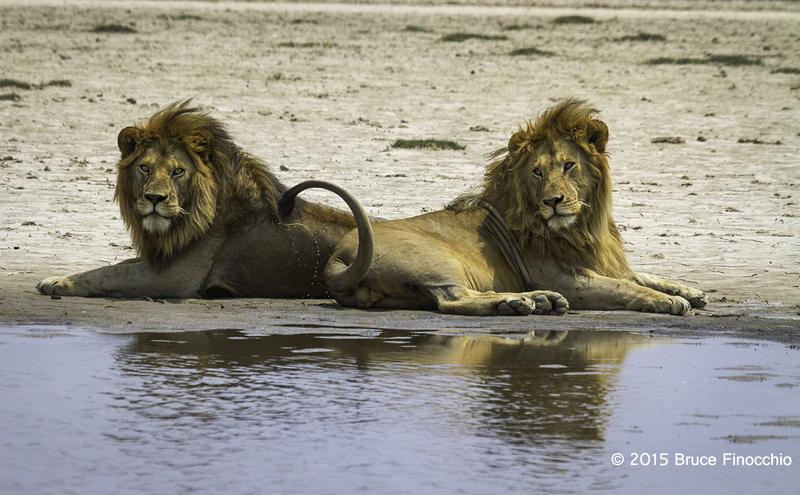 Here though both lions were close to the same plane so f6.3 aperture was sufficient to capture both subjects sharp. Again, I just love the light; this early morning low angle light bathes them in a warm glow that accentuates the colors of the male’s mane and their beautiful tawny bodies. A mating image next, should I dare!!!??? I haven’t dare post a mating image yet. Working up my courage. So I thought I would share an image with some affection before the violent mating act itself. We can learn a lot through observing wildlife, even the King of Beast can show affection, perhaps even kindness and love. Anyway, we better pay attention. It might be too late already, because if we don’t, then this beautiful planet of ours, won’t be Mother Earth; it will be something harsh and deadly. And then, the next great mass extinction will be Homo sapiens sapiens—us! 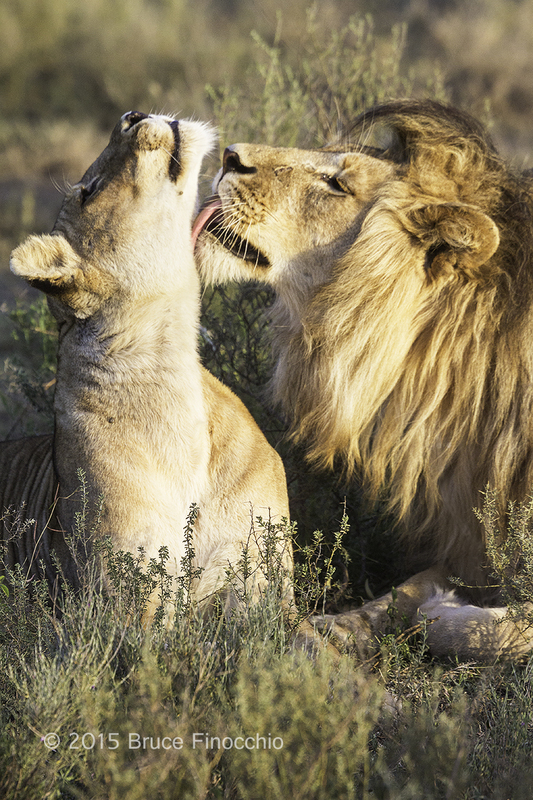 After my lion image showing affection, here is my best mating image from that morning. Lions can mate 4 to 6 times an hour, 100 times a day, and it can go on for days. 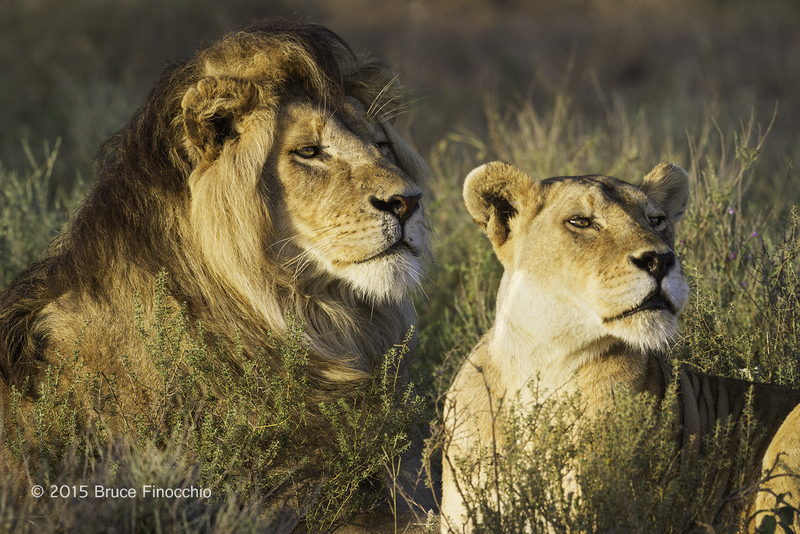 After exhausting one male, the female will sometimes mate with other male members of the pride, to insure and protect her future cubs by bonding with all the pride’s males. 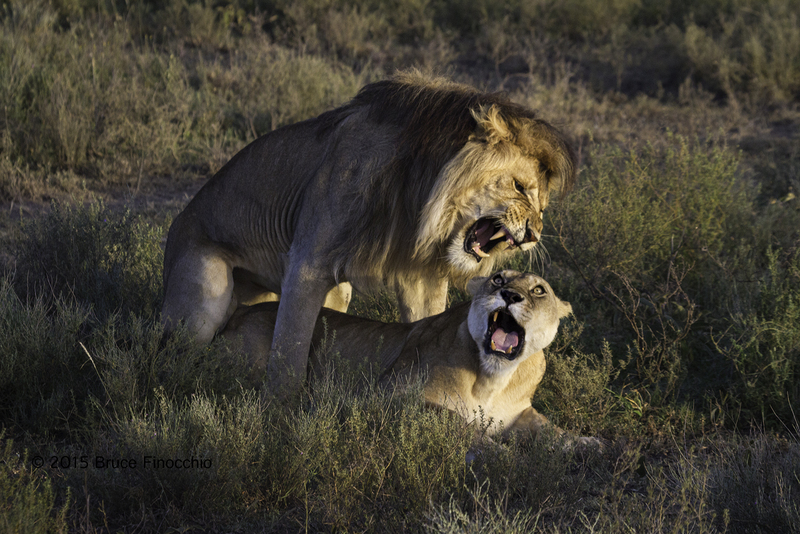 Lion mating is a violent affair, and does not last long –a few minutes at most. 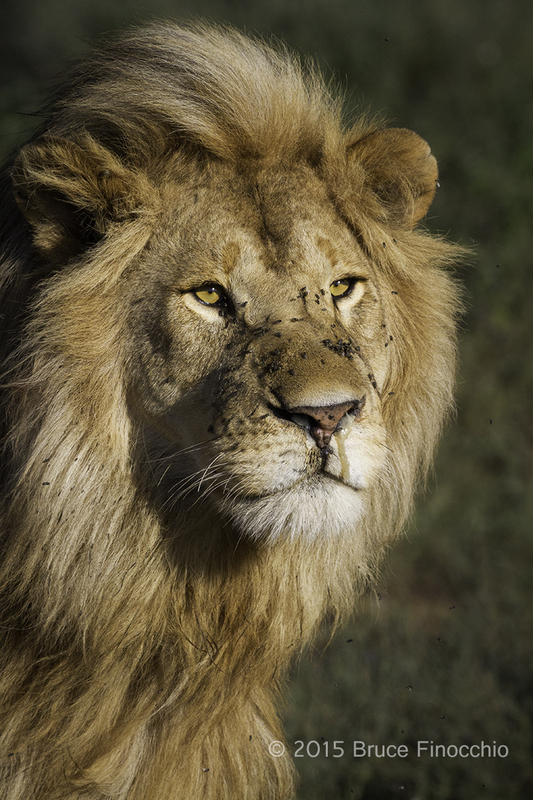 Usually the male will scent mark afterwards, claiming and marking the territory and the females in it as his. Other than the gorgeous early morning light, I think the success of this image is that female is looking up at her suitor engaging in communication between them, and that her eyes are clearly visible and have such a wonderful expression… Even though, there is no sound, you can almost hear it from their expressions. Perhaps, the moment of lion ecstasy! Mating expends lots of energy, and is a very thirsty endeavor. 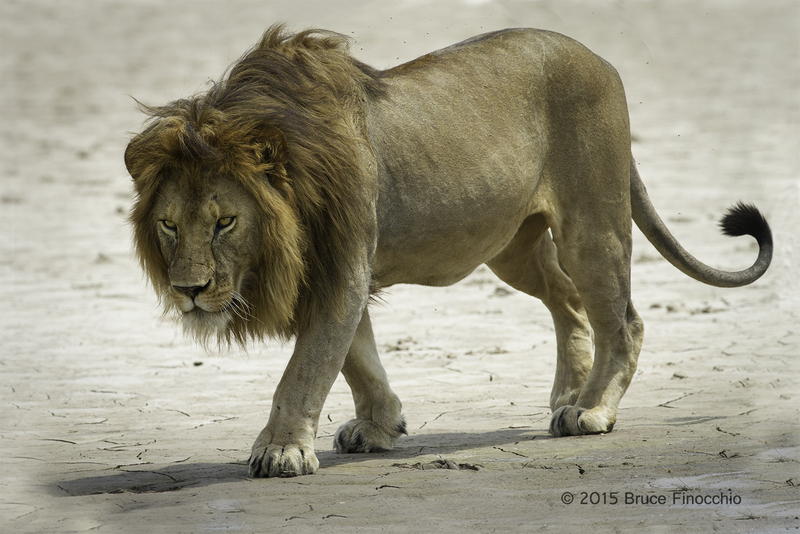 After, repeat bouts of mating, where does a Male Lion go? He heads for the river and some water. Here are some images from the previous day, when the sun had gone higher in the sky, and the heat became a little more oppressive. One vertical, the other a horizontal orientation, one a partial portrait and the other showing the complete body. 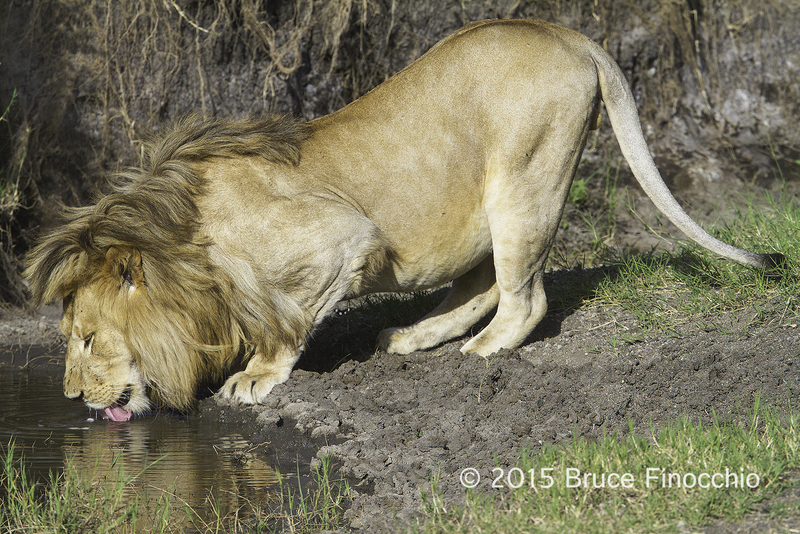 Which one do you prefer, the vertical or horizontal image of the Male Lion drinking water? Basically, these images were taken within minutes of each other at the same place. Pictures are ultimately are about how they make your feel. Photography is an evocative art. Most of the time your responds comes from inside, within the gut, it’s a feeling, a sense, and or an emotion. Knowing why, and articulating the reason we prefer one image over another helps us look within ourselves, and ultimately understand ourselves better. So tell me which image do you prefer and why! The females lionesses had just made a zebra kill in the middle of a wide low area and were eating. This male came out of the tree line, and made a beeline to where we were, coming straight at us, to get his share of the food. Thus, he was intent and focused. I just happen to get this image toward the end of his run. It was a great behavior moment to witness! His eyes were open in this image, and I captured the movement of the leg as he strides, both help make this a special picture. 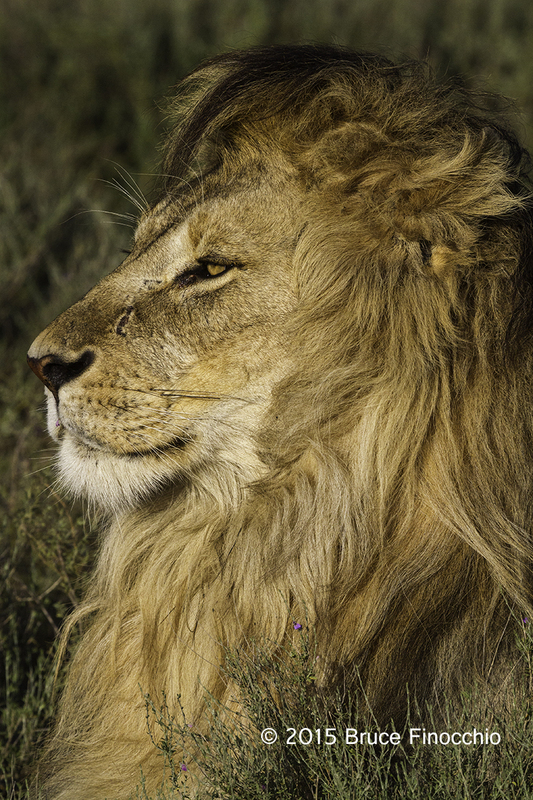 He is the most beautiful male lion we saw; his beautiful blonde mane is extraordinary! 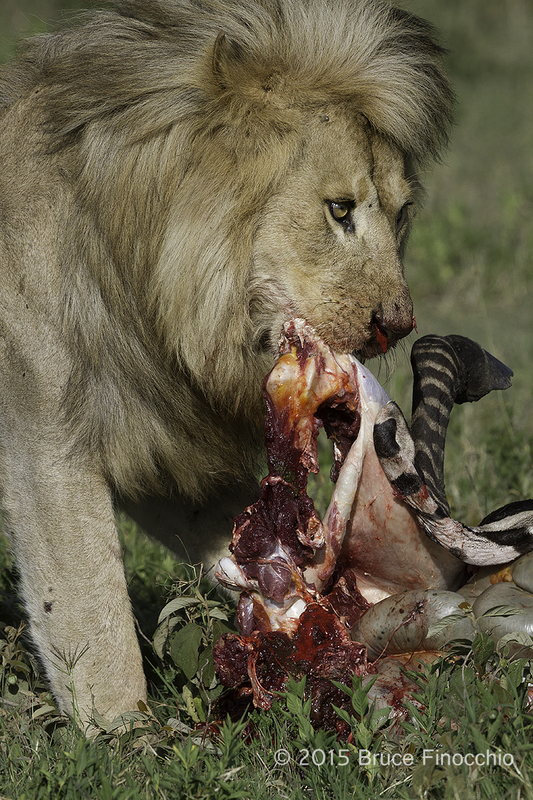 I will leave you with this last one image as the magnificent blond mane lion pulls up a zebra carcass. Lions have incredible strength especially male lions in their prime. They rule the Africa savanna; they are the apex predator, nothing will stand up to them, except other male lions in their prime. Lions kill to live and eat, if they didn’t exist; the grazers like wildebeest, zebra, buffalo, and especially elephants would destroy the habitation, and degrade the environment. Lions along with the other predators like leopards, hyena, and cheetah, provided a vital function in the African ecosystem and are part of the web of life. Perhaps, the Last lions are walking on the earth now. 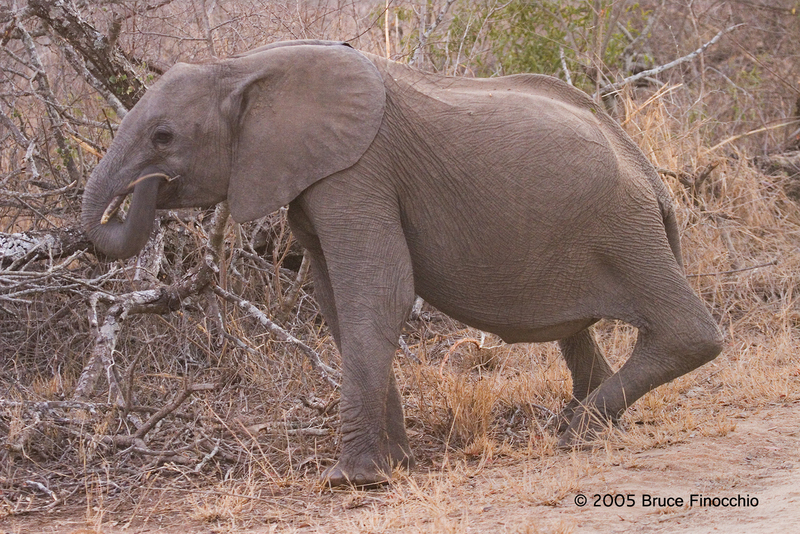 Down to about 20,000.00 in Africa, their numbers are under extreme threat by poaching and loss of wild places to live. As the human population in Africa grows, tremendous pressure is put on Africa’s wild habitats. 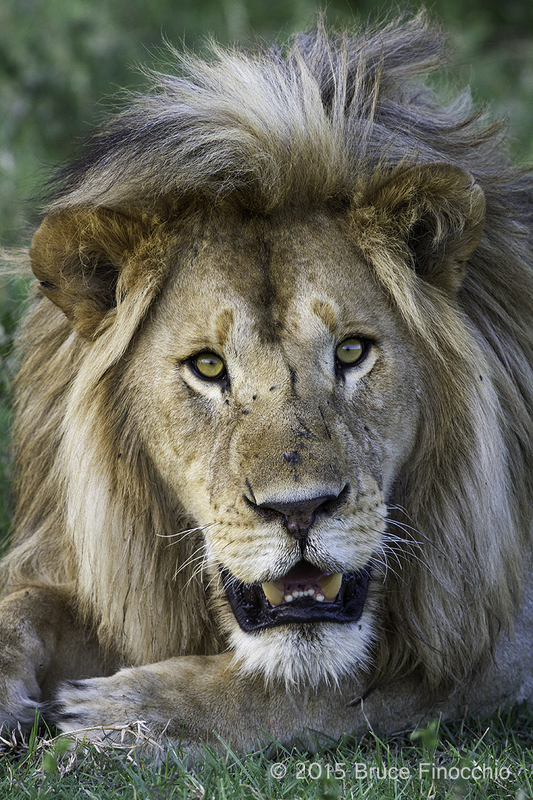 The days of finding lions and wild Africa outside of the National Parks is long gone. It’s only us, man, who can save the lion, and the wild places they need to live in. These image of this magnificent blond mane lion stir my heart and represent to me all that it is to be a lion. I want to know wherever I am or live even if it is not in Africa that Lions will still be roaming the wild African landscape. Life will be diminished knowing that they will no longer roar at night, stalk the bush, sleep under the acacia trees, and hunt to feed themselves and their cubs. If you would like to help Lions in Africa, please donated to National Geographic’s “Big Cat Initiative” and Cause a Roar! *Each of these segments were previously published in Facebook under “Dream Catcher Images” page as short post. 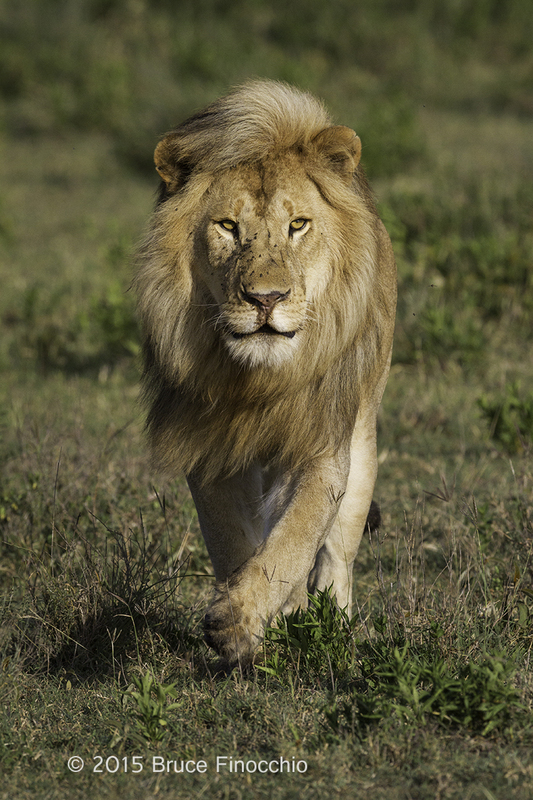 More images of a Male Lion from the wonderful Ndutu section within the Ngorongoro Conservation area, part of the greater Serengeti ecological system in East Africa.